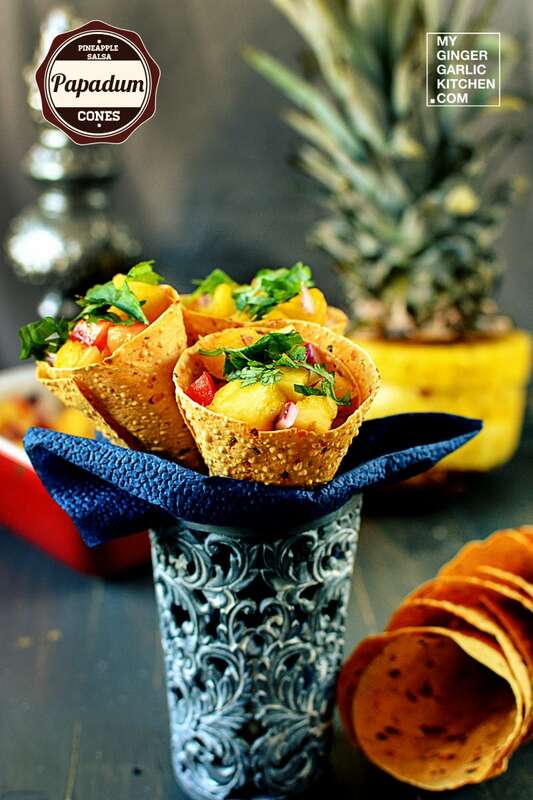 Pineapple Salsa Papadum Cones are a new Indianized twist to the great spanish salsa. 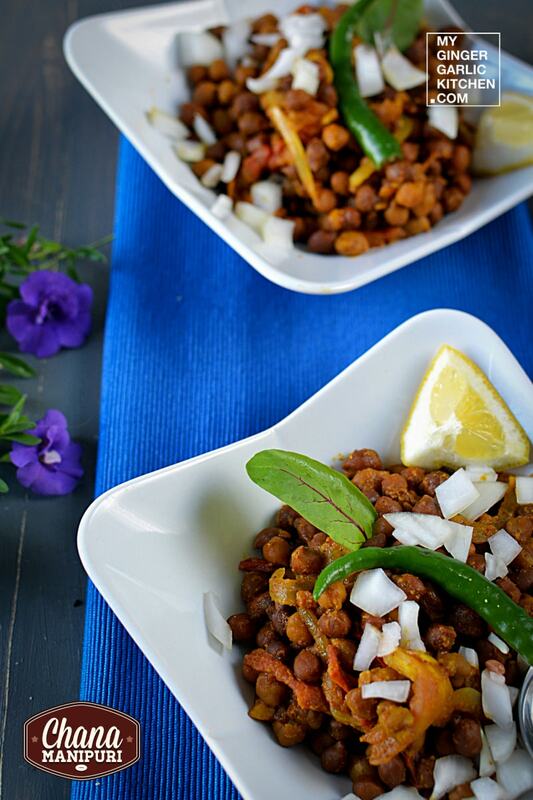 We can name it a Indo-spanish dish. 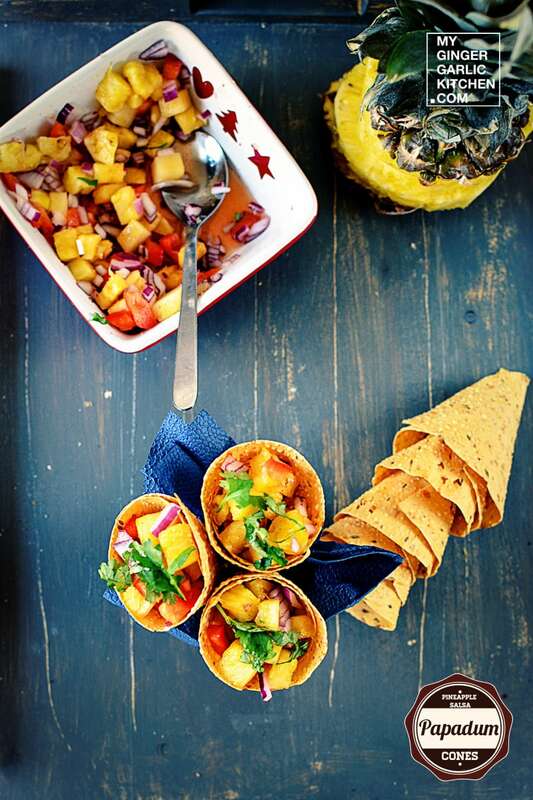 This is an easy, quick and refreshingly juicy citrus salsa. This salsa is sweet, spicy, tangy, colorful, and refreshing. 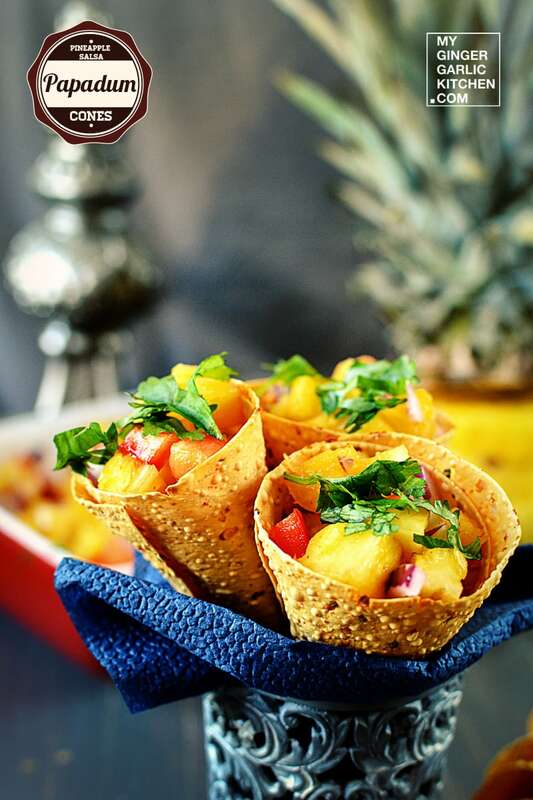 These fruity salsa papadum cones would make a great appetizer for any summer treat. 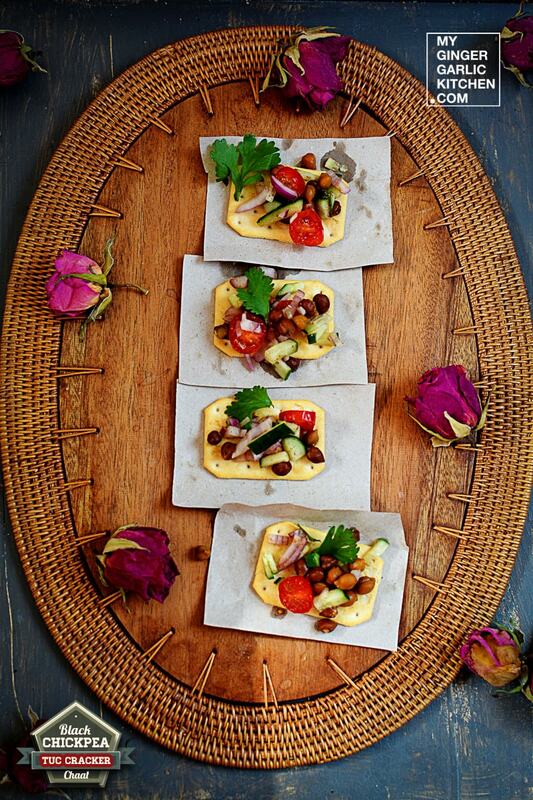 And freshness of crunchy-juicy fruits, and crispness of a papadum makes this appetizer very desirable. 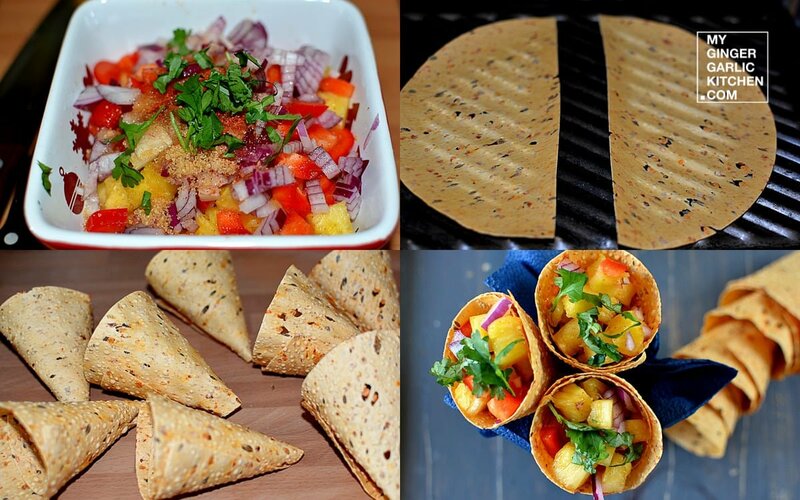 Let’s learn to cook Pineapple Salsa Papadum Cones in easy to understand quick steps. Take a mixing bowl. Add all the ingredients to the bowl, and mix well. 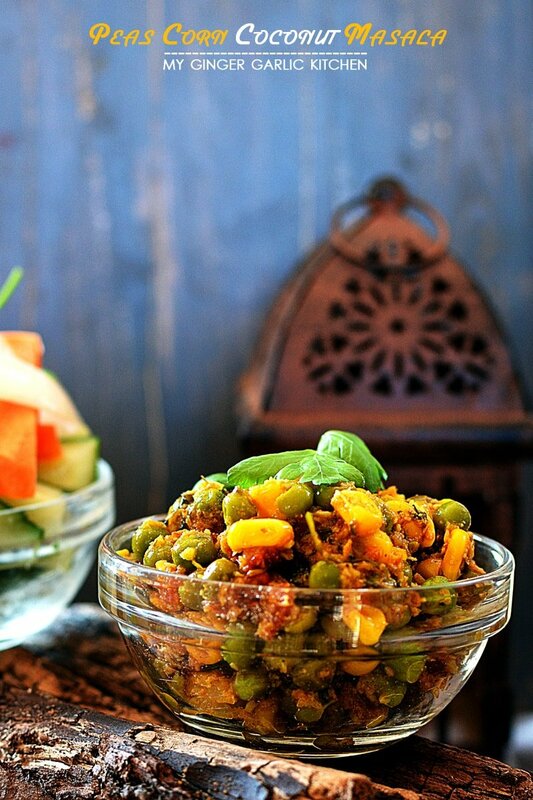 Cover the bowl with clingfilm and place it in the refrigerator for at least 30-40 minutes. Cut the papadums into halves. 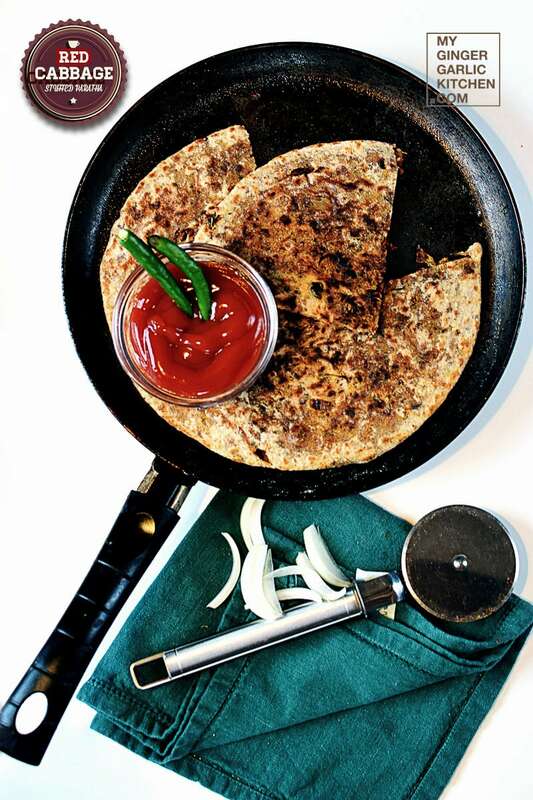 Heat a grill pan and roast the papadums. Shape papadum immediately into a cone. Repeat the same process with remaining papadums. Your cones are ready. 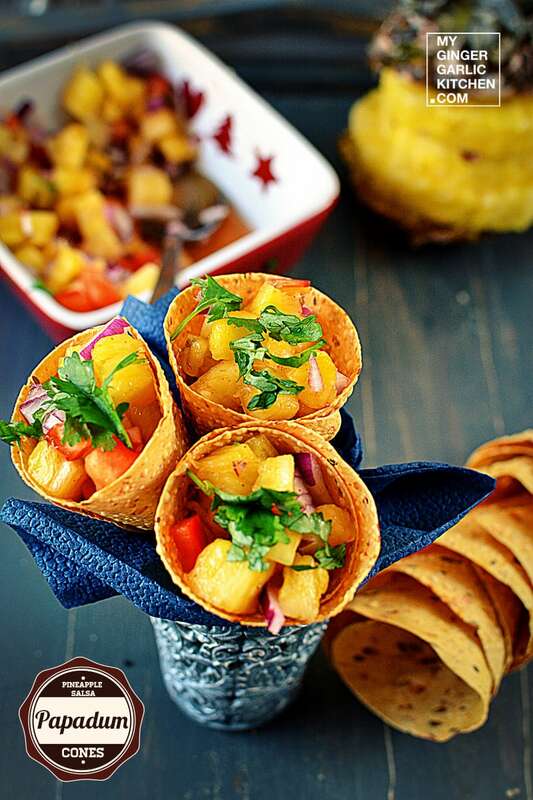 Stuff the pineapple salsa into the papadum cones. Props & Styling: I used a dark wooden board and a gray backdrop for these photographs. I also added raw pineapple, and some salsa to the frame for styling.